Employers have many obligations to their employees today and management techniques do not always have an answer for the challenges managers and HR face. Efforts by employers to manage, even intervene and problem solve often become convoluted. Therefore, documentation might be the only factor that shows an employer in good faith tried to live up to all their legal obligations to their employees and in the case of complaints was a fair, non-discriminatory employer. Wherever there are people, there are problems, and those problems often turn into HR compliance issues. Consequently, everyone: trainer, advisor, user and reviewer of records need to be trained in the best practices for documenting so they know how to document, when, what, how, and why to document, and just as importantly, how to not document. What an employer does document, what it does not document and the manner of use of the documentation are critical elements in determining whether their records show compliance with the law(s) - or not. HR is the advisor and trainer to documentary practices. HR cannot manage every employee in an organization. Supervisors manage employees and are the persons who take (or not) HR’s advice and training efforts and then choose to document properly (or not) on behalf of the organization. Forcing managers to document rarely results in good quality documentation but instead often produces incomplete, illogical, and inconsistent documentation. Incomplete, illogical, and inconsistent documentation gives adversaries excellent tools to use against an employer. Training Managers and Supervisors why it’s important to document and how to do so properly results in documentation that helps demonstrate your company is meeting is obligations to employees. Retaliation – how your records often demonstrate that it occurred – even if it did not. How to get your managers to want to document rather than trying to force them to document. Problematic documentation in regards to hiring, performance, training, safety, and investigations. Human Resources is infamous for repeating three words, “document, document, document.” There is no doubt documentation is crucial. However, what you document and how you document is critical if faced with a legal challenge. When challenged with a lawsuit, what the employer documented, and how it was documented will be eitheryour defense – or that which helps the other side to win. The purpose of employers keeping documentary records is to show they comply with applicable laws. However, records often as not, do just the opposite. Because any documentation is certainly not necessarily quality documentation. Instead, employment documentation can often be in reference to or appear, as a fact that serves as proof an employer did not follow the law. Such supposedly defensible documentation instead appears (or shows) that the employer acted improperly in any of a myriad of situations. This webinar will cover in detail how to produce high quality documentation and what not to do in terms of documentary practices in regards to timing, content and purpose. This webinar will include examples of documentation both quality and not. 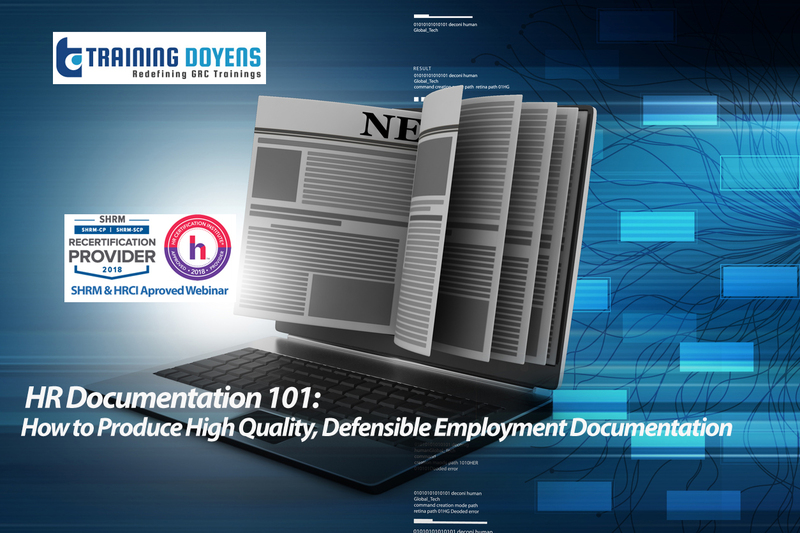 Just as importantly, this webinar will also cover how to persuade your managers to view documentation as just as important for them, as it is to the company.